The Klondike Rose® potato holds the lofty honor as being the catalyst for many of the newer potato varieties that have been introduced into the US market in the past decade. First launched in 2002, this amazing potato marked a new era for fresh potato industry as it was the first significant new entrant in decades and quickly rose to fame across the country. It resonated with consumers who were eager to try something new and its success led to industry-wide developments. The potato itself has a beautiful rose/pink skin with a deep yellow interior flesh and a taste that is unbelievable. The buttery texture when prepared is dazzling both to the eyes and the palate. Try one baked, grilled, mashed, or added to your favorite crock pot meal or stew. States that produce Klondike Rose® are Washington, Arizona, Idaho, and Texas. Known throughout the fresh potato industry as the very best yellow potato available, the Klondike Goldust® will simply amaze you. It’s a perfect union with smooth yellow skin and vivid yellow flesh. Not to be outdone by the appearance, the dense flesh cooks to a wonderful buttery deliciousness. A silky smooth texture that has a pleasurable mouth feel clearly demonstrates that this potato has much more to offer than just fabulous looks. 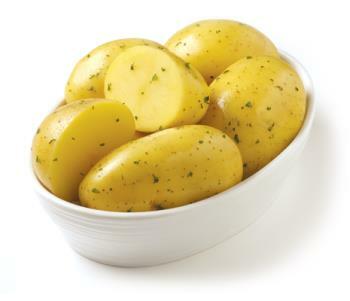 The uses for this potato range from baking, broiling, mashed, steamed, roasted, grilled, and in the microwave. 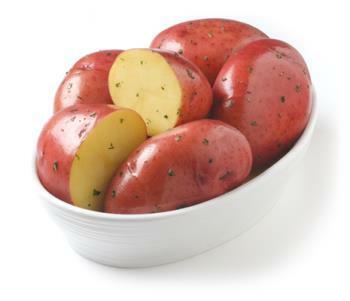 Klondike Goldust® potatoes are grown in North Dakota, Idaho, Washington, Arizona, and Texas.